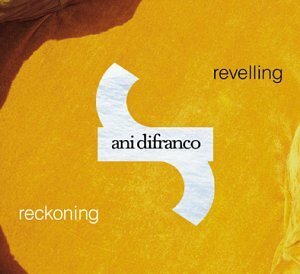 I'm slowly getting back in to listening to Ani Difranco. The other day, I came in to work early. It was a noticeably quiet morning, and I was feeling a little emo. Reveling/Reckoning really hit the spot. In my opinion, this was when she was really nailing it, artistically. Before this, she was maybe a little too militant-Lesbian, and after this one, she got a little too jazzy. R/R is perfectly produced and really packs a punch, emotionally.